The challenges lesbian, gay, bisexual, transgender, and questioning/queer (LGBTQ) students experience at school are getting more attention than ever before, but a lot of confusion remains in the general public. Many teachers, administrators and students might knowingly or unknowingly say or do things that are or can be perceived as non-supportive of LGBTQ students. Doing so — or not intervening when bullying or harassment is occurring — could contribute to the higher rate of mental health, safety and academic issues that members of the LGBTQ community experience on campus. Additionally, many don’t know how to properly refer to individuals who identify as LGBTQ. Furthermore, they might not understand the other terms the LGBTQ community uses to identify its members. Asking for and using all (gay and straight) students’ proper names and pronouns can help LBGTQ students feel affirmed and included in their school environment. At Colorado’s 2018 School Safety Conference this fall, Campus Safety magazine spoke with Jordan Anthony of One Colorado, an advocacy organization for the LGBTQ community, on cultivating safe schools for LGBTQ students. At the conference, Anthony also covered the benefits of developing Gay/Straight Alliances (GSAs) and the steps campuses can take to develop their own GSAs. 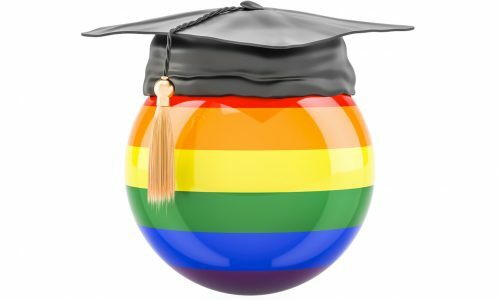 Studies have found that adopting these suggestions will not only make a campus more secure by reducing homophobia, but will also encourage LGBTQ students to go to class, leading to improved academic performance. Additionally, the rate of attempted or completed suicides has been shown to decrease, as has the rate of suicide ideation, when these strategies are implemented. The improvements in mental health also apply to non-LGBTQ students. The post How Schools Can Cultivate Supportive Environments for LGBTQ Students appeared first on Campus Safety Magazine.